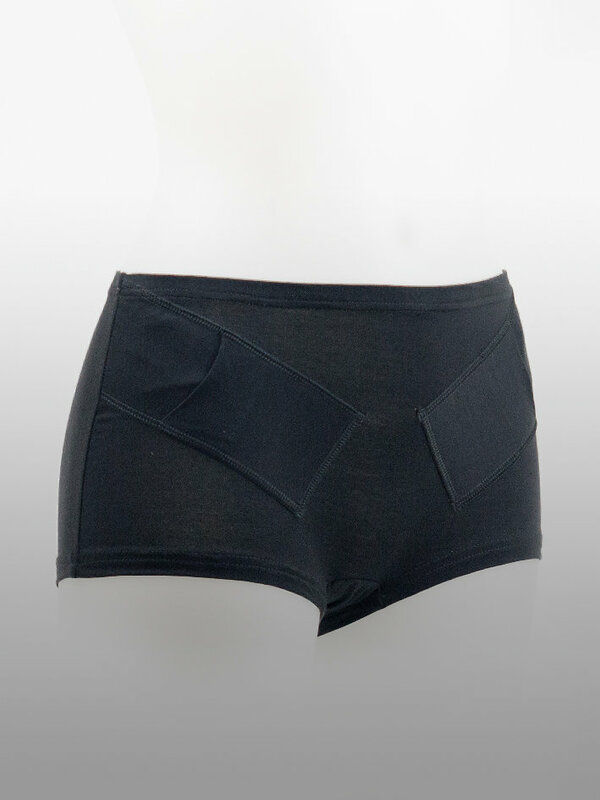 Women’s Bikini Pants Boxer – with an integrated pocket for insulin pump. Fully lined bikini top in a triangle style (halter neck model) with removable inserts. Ties at the neck and in the back. No pocket. Bikini pants with short legs. 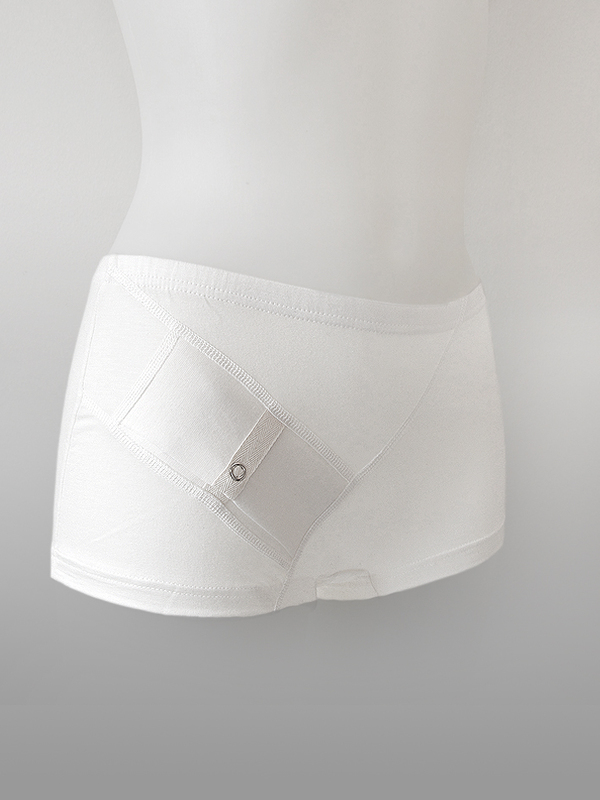 A sturdy sewn-in elastic waist (width = 50 mm (2 inches)), which can be folded down. An integrated pocket placed on the right side, which is placed diagonally to follow the body’s natural movement. The pocket opens and closes with a snap fastener. Pocket model: Boxi. The pocket have an opening from the inside in which you can place the pump. The tubing can easily be placed on the inside of the garment. Pocket size: Length = 125mm (4,9 inches), Width = 60 mm (2,4 inches), Depth= 30 mm (1,2 inches).